During these hectic lifestyle, we generally neglect to take care of ourself. Where as, we pamper our whole body but normally forget our feet. Don't you agree with me? Being a nailartist I always take proper care of my hand and more conscious about my hand nails but somehow neglect my feet. In my city the atmosphere is really dry which tends to dry skin all season .. My feet are super dry and flaky after shifting to Ahmedabad and you can't imagin how bad feeling it is.. I tried so many home remedies and creams but nothing worked properly.. There is always some cracks behind.. Then few days back I found Himalaya footcare cream and currently using this since a week now.. Did I find my crack heel solution ? To know the answer, read the write up below..
Himalaya foot care cream is an unique, daily use, natural formulation that heals and softens excessively dry and rough feet, preventing cracks and helping protect feet from microbial infections. The gentle yet effective combination of natural moisturizers provides an unique three-way deep moisturising effect, making you skin soft, increasing the natural moisture content and keeping your feet moisturised even during extensive exposure to elements. Sal Tree extract has antimicrobial and anti-inflammatory properties. Turmeric and Honey provide antiseptic and germicidal action and Fenugreek helps heal cracks and relieve inflammation. Price - Rs50/- for 20gm. Direction of Use - Wash feet with lukewarm water and soap free cleanser. Pat dry and then apply footcare cream liberally over feet. Gently massage and let it dry.. Apply twice a day. Packaging - The foot care cream comes in a white tube which has the signature himalaya labelling. The tube is compact and very handy to use. I like the packaging. My Experience - The foot care cream has thick and smooth texture . It has very mild and soothing fragrance which vanishes away after few minutes of application. 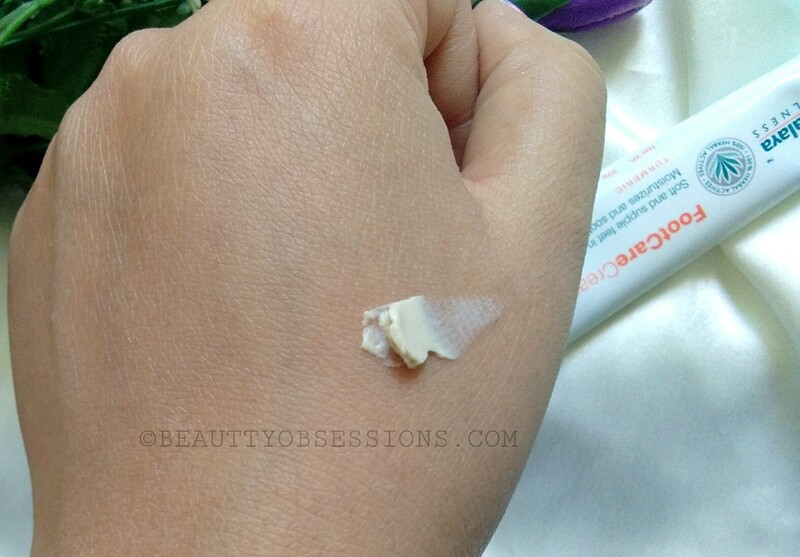 The cream is very lightweight and quickly absorbed into skin.. The days were gone when we had to sit hours to make dry the foot cream.. This himalaya cream dries out quickly and moisturises feet deeply. I use it twice a day, once after taking shower in the morning and once before hitting bed. During night I soak my feet in lukewarm water for 10minutes and then clean the dead cells using a scrubber.. Then pat dry and apply this himalaya foot care cream properly. It has been a week now I am using this and trust me the result is noticeable. My feet is more soft and clean now.. It has turmeric and honey which is best known for their antiseptic properties. Fenugreek heals cracks deeply and makes feet soft. Now the only issue is, this cream has paraben in it and I wish if it hasn't.. 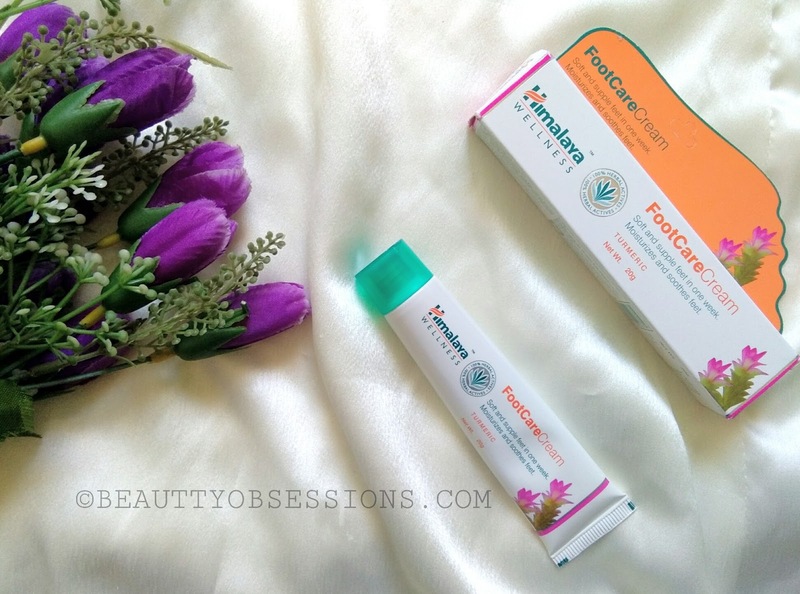 Overall I love this himalaya footcare cream and a complete thumbs up from my side.. Final Verdict - The himalaya foot care cream is creamy and smooth on feet and absorbs quickly into skin.. It moisturises feet properly and heals cracks deeply with regular uses. It is affordable and I love it for my dry cracked feet..
Himalaya is the best product I have ever tried. and this foot cream is worth to try. Will check this out. I have been using it myself and it is effective in maintaining soft feet. this looks like a amazing foot cream would love to try for myself. Nice review I am using it already and well satisfied with it's results. Himalaya is indeed a great brand and have been part of our family for a long time now. Loved the review on foot care cream. Himalaya foot creams seems to be a saviour to cracked n dry feet, shall try using it. I used this foot cream and love it. It worked so well for me, so I gifted one to my mom too. I am dealing with re-occuring cracks... will try out your idea of using this cream twice a day.. thanks for sharing. 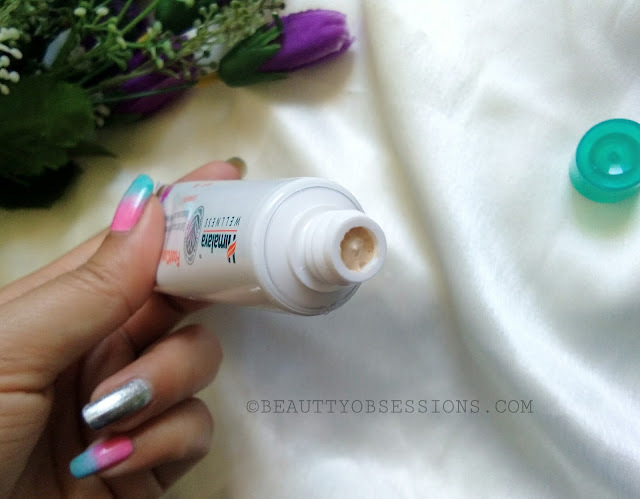 This foot cream from Himalaya is very effective on cracked heels. I love its smell. Himalaya Foot Cream has been a regular in our family, cracked feet, dry feet, dull skin or uneven nail of toes Himalaya has always taken care of our feet. Thanks for sharing such a nice review.